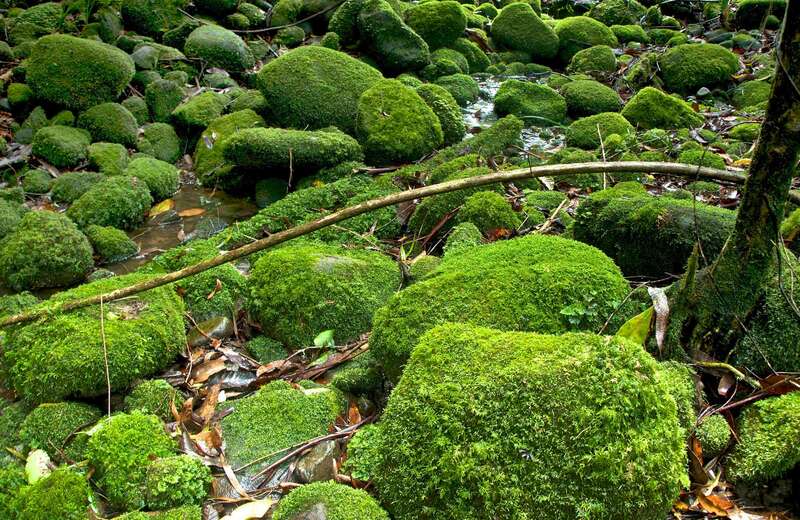 Burraga Swamp walking track is an adventurous walk offering rainforest and remote wilderness with spectacular scenic views in Barrington Tops National Park, near Chichester State Forest. This walk may also be closed at different times of the year due to weather or fires, so it’s advised to check with the local Gloucester office on 02 6538 5300. The weather in this area can be unpredictable, so please ensure you’re well-prepared for your visit. Nearest toilets and picnic facilities are located at Williams River picnic area and Allyn River State Forest campgrounds. Burraga Swamp walking track is a beautiful stroll to an intriguing natural wonder in Barrington Tops National Park, near Chichester State Forest. It’s well worth the effort for dedicated nature enthusiasts to take a tour of this remote wilderness area. Thousands of years ago, a massive landslip occurred off the steep western side of Mount Lumeah. Over the years, the ledge that was formed has filled with sediment, creating a hanging swamp - Burraga. 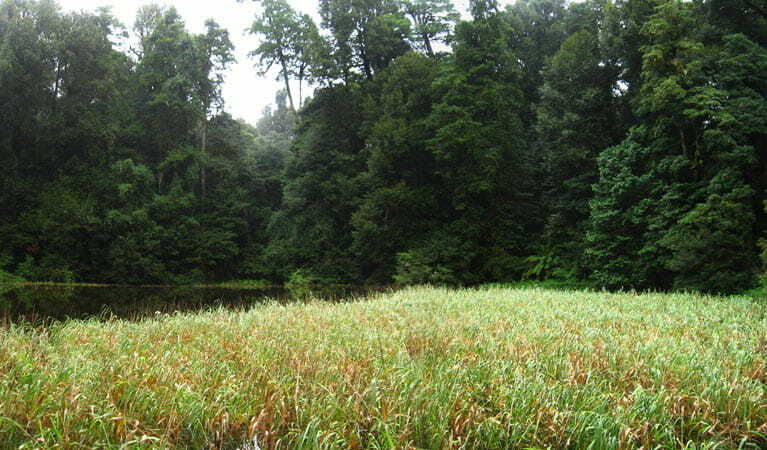 Today, the delicate grasses and sedges of Burraga Swamp are in sharp contrast to the ancient rainforest of Antarctic beech around it. The organic matter left here over centuries is valuable historical evidence to help us understand and learn about past climate and vegetation. The walking track itself climbs gently through the beech forest, across a small saddle, and down to the southern edge of the swamp. It’s a great spot for a secluded picnic and some serious photography. Retrace your steps and explore the nearby Williams River region and Williams River picnic area.